This modern and minimalistically designed Villa Dol Hills Estate is located on the northen side of the island of Brač. The island has rich cultural and historical heritage. 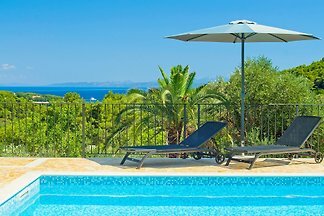 Villa Barbara is a 2017 newly built beautiful 4-star apartment house with private pool in Sumartin, on the island of Brac. This air-conditioned apartment features a flat-screen TV and a seating area. There is also a kitchen with an oven and a dining table. Bathroom with a shower and washing machine. 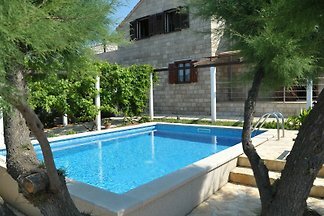 This pretty and well furnished and equipped holiday home with a swimming pool is situated only 20 m away from the sea on beautiful location in Povlja on the island of Brac. Decorated stone house with private pool and massage jets, big yard and BBQ. Ideal for family or a group of friends. 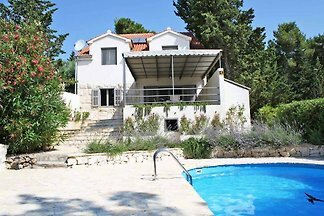 Newly renovated old stone house with private pool, three bedrooms, two bathrooms, private pool, sea view, BBQ, terraces, large parking spot. Bedrooms are air-conditioned. NEW!! First rental !! 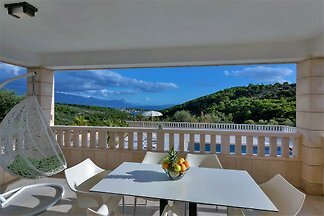 Beautiful, modern and bright furnished house with pool for holidays with friends and families with children. Entire house for up to 25 people - 3 floors, 5 apartments, 6 bathrooms, 7 bedrooms, BBQ place. OPTIONAL: Book only one entire floor! 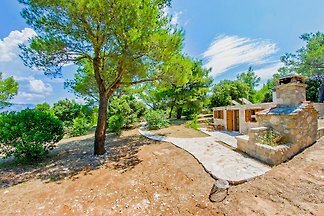 Utter privacy in a charming robinson holiday home on island of Brac. Pine forest all around you with sea and beach merely 150 meters away. If you are looking for something exceptional for your next holiday then we have the place for you. Ideal for you, the peace-seekers, freedom lovers, nudists etc. Luxurious villa, 20 meters from the center. Magnificent view towards sea, islands and local village. Completely decorated in 2014. Private heated pool and full privacy. Villa with infinity pool: 6 bedrooms (2 apartments) and one vast shared unit on the ground floor - 340 m2. 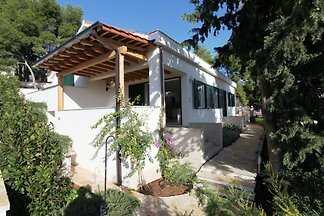 Villa offers comfortable and modern accommodation units for 14 people. Waterfront, traditional stone villa with three spacious bedrooms and bathrooms, air-conditioned, direct sea access, WiFi, BBQ, pet friendly, stunning sea views. 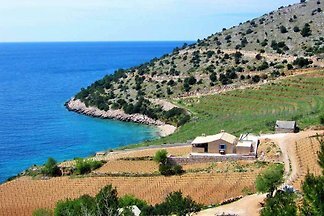 Traditional three bedroom, two bathroom renovated air-conditioned stone built villa only 5 metres from the sea and 300m from the beach. Secluded garden with pool. Great sea views. A three bedroom, two bathroom air conditioned cottage surrounded by a scented pine forest, close to the village centre and only 50 metres from the sea. This two bedroom one bathroom exclusive luxury beach front villa is an ecological paradise. 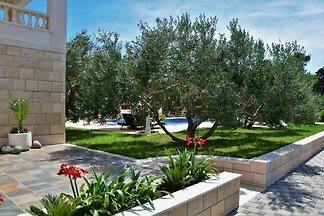 Situated on its own marvellous beach in a vine-planted garden overlooking the Adriatic. 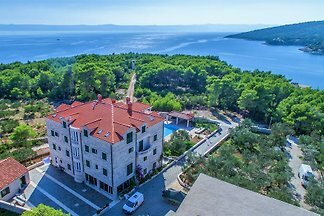 Luxury villa with air conditioning, 4 bedrooms, 3 bathrooms, WiFi, only 5 metres from the famous beach Zlatni Rat. 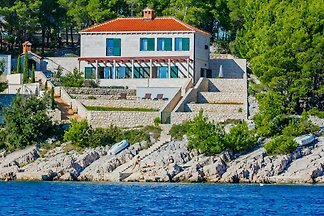 from 5 32 holiday homes & accommodations in Brac were rated with an average of 4.7 out of 5 stars ! 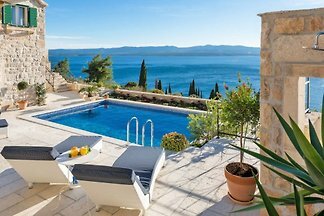 Rent successfully your holiday flat or holiday home in Brac in only 20 minutes !